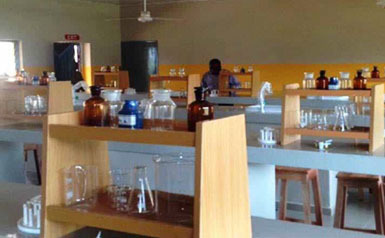 The MTNF Science & Technology Laboratory Project is an initiative of the MTN Foundation, which involved the renovation and equipping of existing laboratories to upgrade them into state‐of‐the‐art Science laboratories. The aim of the project was to improve learning and practical teaching of core science subjects (i.e. Chemistry, Physics and Biology) in public Secondary schools in order to enhance students’ academic performances in these subjects. Fuel supply to each school for one year. At Deux Project Limited, our principles are at the heart of everything we do. Deux Project Limited is an indigenous company with twenty-three years of experience providing services in engineering, procurement and construction (EPC) to a variety of clients.